Ernest Tex Havens, of Salem, went to be with his Lord and Savior on Monday, February 26, 2018. 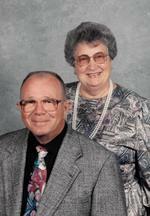 He is survived by his best friend and loving wife of 69 years, Sally Havens; son, Larry Havens and his spouse, Tina; daughter, Sharon Wilkes and her spouse, Ken; son, Douglas Havens and his spouse, Carol; 6 grandchildren; 6 great-grandchildren; and a very special neighbor, Betty St.Clair. A memorial service will be held at 1 p.m. on Thursday, March 1, 2018, at Beacon Baptist Church located at 307 North Bruffey Street in Salem, Va. 24153.